A small house built with big love, Little Way is the perfect place to drop in for a coffee, wine or a bite to eat at any time of the day. A very welcome addition to the Nedlands dining scene & one you definitely have to try for yourself! 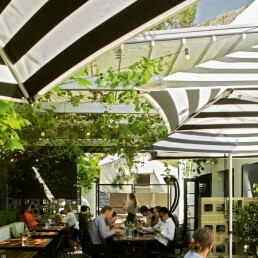 The lush outdoor area and gorgeous interior makes this the perfect spot for a brunch date or a few cocktails with friends. With lots of sunny spots, or some dark corners if that’s your thing, this could easily be your new fave hangout. They’ve got wine, coffee for the morning, cocktails for the parties and a feast that goes all day long. 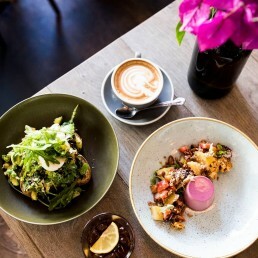 The menu ranges from simple brekky items like muesli and smashed avo to a Mediterranean inspired lunch and dinner menu as well as a variety of pizzas on offer…what more could you want?